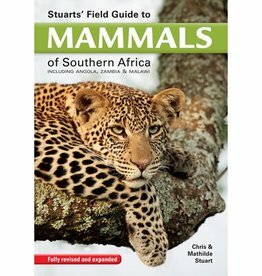 Originally published in 2004, the Kingdon Pocket Guide to African Mammals quickly became the field guide of choice to take on African safaris. Its compact format makes it ideal for use in the field, while its coverage is the most comprehensive currently possible in this format. Adapted from the Kingdon Field Guide to African Mammals, the greatly condensed text focuses on essential information such as identification and distribution, while the author's superb illustrations have been rearranged into an easy-to-use plate format and placed opposite the text. Complex and more obscure groups like the bats and certain rodent families are summarised by genera. Over 500 maps plot the distribution of all larger species, and for smaller mammals the maps show distribution by genus.